Some of my friends think it is important to do sports regulary while others would rather.. Some of my friends think it is important to do sports regulary while others would rather watch a sporting event on TV. Nowadays the popularity of sports is increasing. Sport is becoming a trendy thing and many people want to do it. But some of them argue that watching the achievements of sportsmen on TV is better. I will try to express my point of view on this issue. In my opinion, every person should do sports as often as she or he can. To begin with, it is more useful for health to be active than to be fixed and to sit through in front of TV. Moreover, it was noticed that people who do sports are more happy and cheerful. Also doing sports can help be in good shape. If you keep a passive lifestyle, you will get clumsy and awkward. It does not matter what kind of physical activity you choose you will have such qualities as will, willingness to go to the end, endurance anyway. Nevertheless, many people believe that doing sports is not so necessary and he or she can get satisfaction from watching TV. They think a person can be awared in almost all sports and these people who do it can concentrate only on some of them. Other positive aspect is that people may do something else while watching sporting events. Despite other people's opinion I still believe that physical activity has many advantages and brings us great benefit. In conclusion I would say that people have to do sports and then they will start realising it is the best way to do our life,health, mood and appearance much better. It is important to understand that TV cannot substitute for real life as well. Another positive... - еще один, другой. marusya, Очень хорошее сочинение с точки хрения лексики и грамматики, уже похоже на максимальный балл! Ваша работа видна. С другой стороны вижу откровенно слабые аргументы по поводу просмотра спортивных событий дома по ТВ: видим все детали, тепло, сухо, видим повторы, крупный план и т.п. some of my friends think it's important to do sports regularly while others would rather watch a sporting event on TV. Sport is a very popular kind of activity nowadays. A lot of defferent kinds of sport have been popularized since time immemorial. But today there is a tendency to watch a sporting event on TV instead to do sport regularly. So, what is better? In my opinion, watching a TV programs about sport is not enough useful. Firstly, spending time regularly near TV brings a person different problems with health, like poor eyesight or rachiocanpsis. Secondly, a person will not have contact with world. So, it may has negative effect on social life. On the other hand, there are those who claim that watching a sporting event on TV is very interesting and useful activity. They think it does not take a lot of time and it gives all information about game which a person watch. So, a person can relax and enjoy time. I do not consider these arguments really convincing because a person have an opportunity to combine both activities, doing sport and watching sporting event on TV. No doubt, if a person are doing sport regularly, it helps to strengthen health and to charge mood for all day. Sport is life. It keeps us fit. Almost everyone knows it. In conclusion, I would say that necessary part of happy and healthy life is sport. I believe also that those who are engoying a sporting event on TV will find a balance between sport and TV programs. Убираем артикль, там же множественное число! жестокая ошибка... it may have - это понятно? 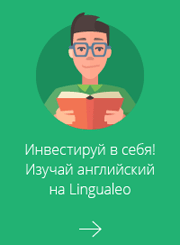 is a very interesting and useful activity - любое исчисляемое неабстрактное существительное должно иметь артикль! holaola писал(а): it gives all information about game which a person watch. holaola писал(а): I would say that necessary part of happy and healthy life is sport.